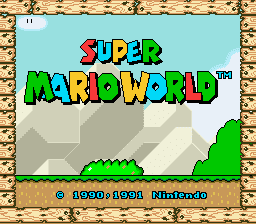 Today on Super Adventures I'm taking a brief look at Super Mario World (AKA. Super Mario Bros. 4: Super Mario World in Japan). After this the numbering gets a bit crazy though, as you've got Super Mario World 2: Yoshi's Island, which presumably counts as Super Mario Bros. 5, and then it jumps right up to Super Mario 64! No 'Bros.' for that game though, as Mario decided to go solo that time. Every Nintendo console but the Wii has had a Mario (or Luigi) game as a launch title, and this is the game that was relied upon to kick off the era of the Super Famicom in November 1990. This and Mode 7 racing game F-Zero, but don't expect to see that on the site any time soon as I am astoundingly terrible at it. 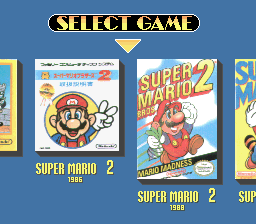 Amazingly for a series with such highly regarded soundtracks, in Japan this was the first of the Super Mario games to have music on the title screen (though the Western version of Super Mario Bros. 2 does have a tune.) Even more amazingly... I don't really like it all that much. It's twee and grating and sounds like it belongs more in a nursery rhyme than a Mario game. Here have a youtube link, listen for yourself. Today on Super Adventures, I'm taking a quick look at the long awaited, repeatedly requested, HR Giger illustrated, horror adventure Darkseed! Today on Super Adventures, Mario Marathon Month drags on even longer with Super Mario Land, for the Game Boy! There's our heroic plumber up there on the top of the sign in fact, shaking his fist at the sky and yelling at strangers to get off his Marioland. This was the fourth Super Mario game in Japan and Europe, but the third to come out in America. It doesn't count as part of the main Super Mario Bros. series though because Luigi hasn't bothered to turn up this time. Can't give it the Bros. label without Mario's bro around. 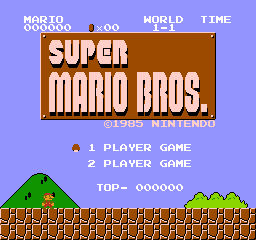 Though if it was a Bros. game it would've been the first Mario Bros. produced by Gunpei Yokoi since Mario Bros., and the first created without the involvement of Shigeru Miyamoto. It's also the first developed for a proper cartridge-based handheld system, and if you're wondering where you've heard the name Gunpei Yokoi before, it's possible that you remember him as being the designer of the Game Boy itself. Super Mario Land was a launch title for the system and was originally intended to be the first pack-in title until Nintendo were persuaded that Tetris would more universal appeal... because it's Tetris. Can't really disagree with that logic, especially as 25 years later I still haven't even really played Super Mario Land yet, but it says that it's "his best adventure yet" on the box, so I'm pretty hyped. Today on Super Adventures my Mario Marathon Month continues with Super Mario Bros. 3, the final Super Mario for the NES! It's not the last game he showed up in on the console though, as he got his medical degree just before the SNES was released. Sadly his career as Dr. Mario lasted just four months and then it was all Yoshi games and edutainment after that. I've timed this one better than most, as today is the game's 25th anniversary... in the US. It's not a particularly special date to me seeing as it came out 18 months later in Britain and a year or so earlier in Japan, but I'm being impatient considerate of my American readers. Whoa, I just did the math there: that's three years that we were left waiting for this, while Americans were already playing Super Mario World! I say 'we'... I didn't get a NES until something like 2001, so it's not like I was personally inconvenienced by any of this. Super Mario Bros. 3 has actually appeared on Super Adventures before, about four years ago now, but I wasn't the person who played it and the guy who did absolutely hated it. Seriously, I found someone who dislikes Super Mario 3, how amazing is that? Uh, not that I'm implying that I like it, I'm not giving that away until the end, but I have definitely played it before and I have... opinions. Click the highlighted text if you missed out on part one. 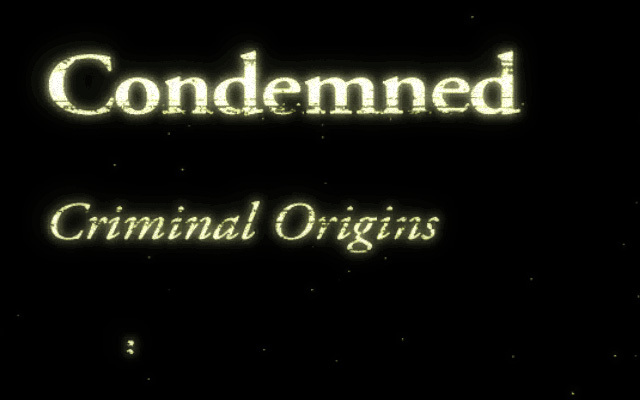 Today on Super Adventures I'm taking a brief look at Condemned: Criminal Origins. Man, with a title like that you can tell Monolith were hoping to get a whole franchise out of this one. But in the end they only released the one sequel, and the series has been dormant for the last 8 years. Though if they ever make a third game they should totally call it Condemned 3: Criminal Inquisition. Condemned was created by No One Lives Forever and F.E.A.R. developer Monolith (currently soaking up the acclaim for their latest non-FPS Shadow of Mordor), and it was an exclusive launch title for Microsoft's shiny new Xbox 360 console. This was actually in development for the 360 at the same time as F.E.A.R. was being made for PCs, and they were released just a month apart, so I guess the company was in a gritty horror FPS kind of mood at the time. This isn't the first time I've played the game, I managed to finish the thing back when it was new, but it will be the first time I get to see it with all the settings on max. It tried to talk me out of switching the soft shadows on, but I disregarded its warnings as I am from 10 years in the future and such things are no longer a concern to me. WARNING: The first screenshot in the article shows a gross picture of a bird being dissected. It's always nice to have another 'Super' game on Super Adventures, even though Nintendo had to go and confuse me by releasing it on the Famicom/NES instead of waiting five more years to put it on the Super Nintendo. Fortunately they'd learned to match the title with the system by the time Super Mario 64 came out; they didn't end up calling it Super Mario Cube or something. Super Mario Bros. is the second game I'll be playing for my Mario Marathon Month. It's also the something like the eighth game to ever feature Mario, the seventh in which he's playable, the fourth to have his name in the title, and the first to be developed exclusively for home consoles... I think (and that's not even counting the Game and Watch games). He's a busy guy, and it's hard to keep track of all the places he turns up. While I'm throwing out numbers, this was something like game #64 for the two year old Famicom, but when the NES reached the US this was out at launch, and you can bet that it wasn't Gyromite and Duck Hunt that made the system such a massive success in the West, resurrecting the American console market after the 1983 video game crash. Super Mario Bros. was the best selling single platform exclusive for three decades... though that seems a bit less impressive somehow when you know that Wii Sports was the game that finally beat it. Anyway I'm going to play it for an hour or two, show some screenshots and shout out everything that enters my mind as I go.